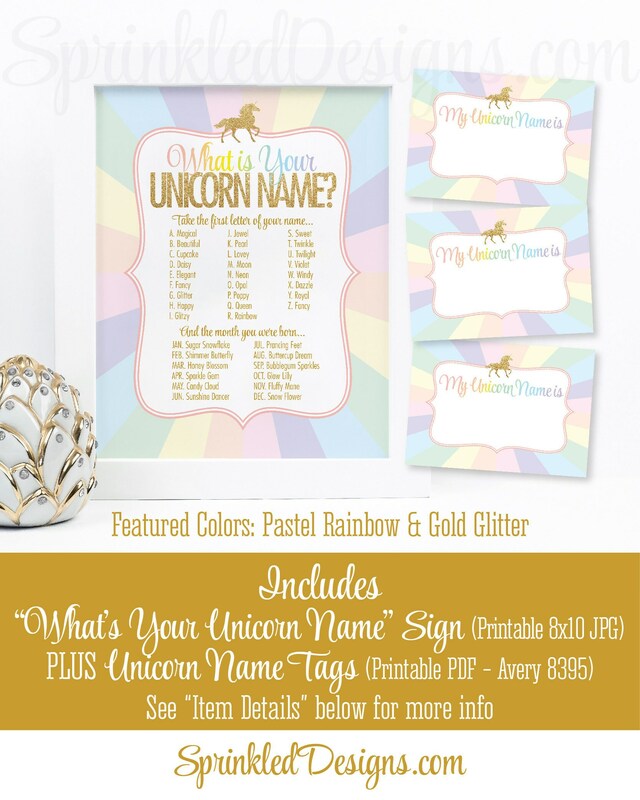 This listing is for a non-customizable 8x10 high resolution printable JPG file in PASTEL RAINBOW & GOLD GLITTER, featuring the game "What's your Unicorn Name" with a Rainbow Starburst background! 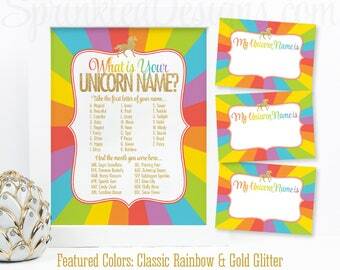 This image is ideal for printing at your local photo lab & framing as a decoration for a Unicorn birthday party! 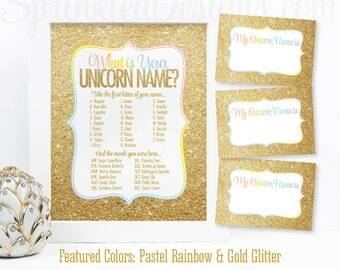 Your order also includes matching Unicorn Name Tags as shown in the listing photo. 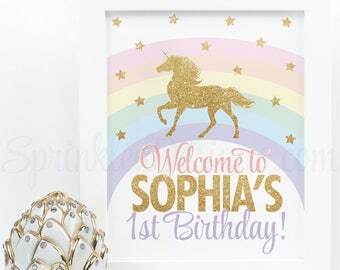 The PDF file is formatted to work with Avery Labels Template 8395 (https://www.amazon.com/dp/B00007LVCN/ref=cm_sw_em_r_mt_dp_U_6xIRCb9EJ9D02), but can also be printed onto regular cardstock instead. Now out of 3 pictures I ordered I AM DEFINITELY INLOVE WITH THIS ONE!!!!! 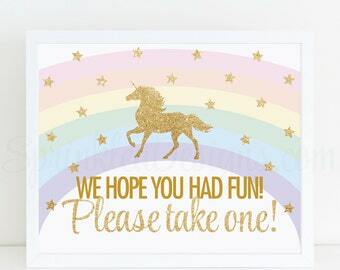 I THINK IT'LL BE FUN!